Please see the attached invitation. 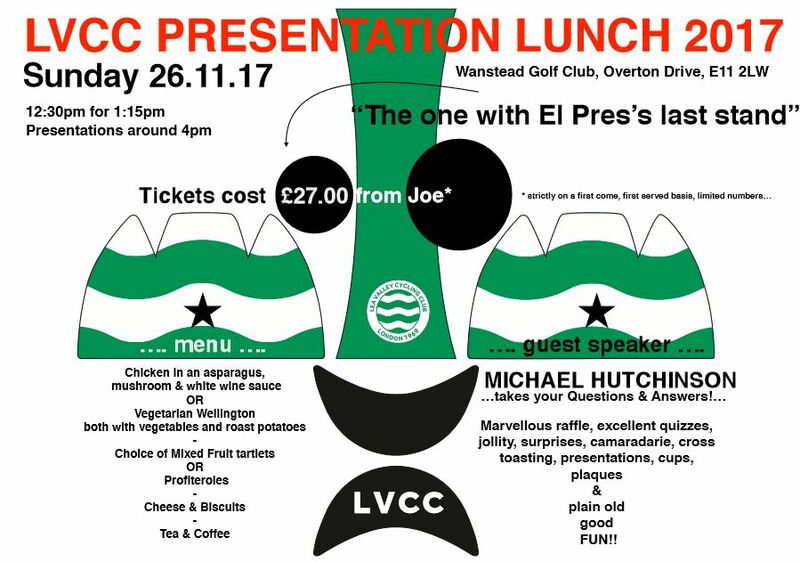 Sunday 26th November at Wanstead Golf Club. Emma said that everyone needs to say what they have chosen from the menu when buying their ticket and also that we are collecting questions to be asked to guest speaker Michael Hutchinson (winner of about a gazillion national time trial championships, one time record holder at multiple distances, author of several great books, Cycling Weekly columnist and occasional cycling pundit on TV) who will doing a Q&A session.